Ahh, the thrill of vacation adventuring! 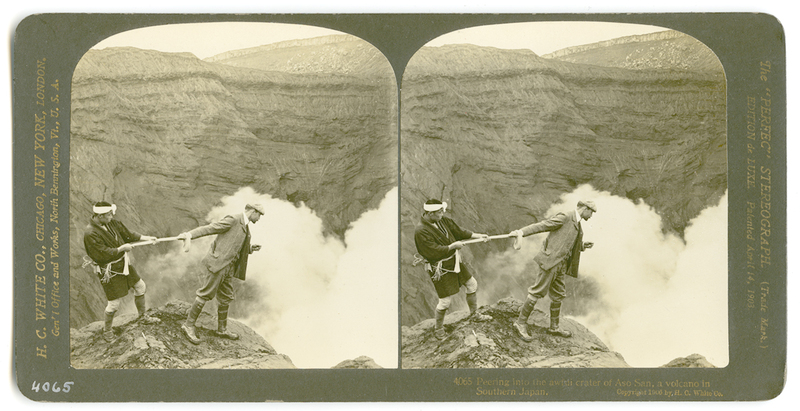 Peering into the awful crater of Aso San, a volcano in Southern Japan, 1906. H.C. White Co. While not going so far or daring so much this intrepid pair, LHR staff will be away next week (June 24 to 28). Source: Stereoview Collection IC9 [a wonderful collection puchased by the Frederic C. Adams Library in the early 20th century, so Kingstonians could see the world in 3D]. 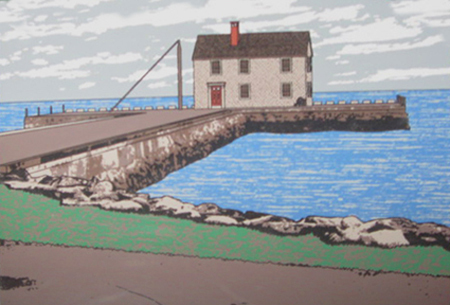 As part of the celebrations for Kingston’s 275th anniversary in 2001, the Friends of the 275th commissioned a set of blocks depicting eight iconic Kingston buildings: the old Town House, the Center Primary school (now called the Faunce School), the Pumping Station, the passenger station (now the restaurant Solstice), the First Parish Church, the Major John Bradford House, the now-gone Kingston High School, and Delano’s Wharf, shown here from the rarely seen bay side. 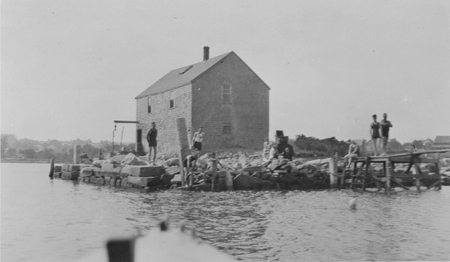 The blocks, along with photographs from the Local History Room, as on display this month in the Library lobby.